Before I actually compose the still life I like to visualize it, in this case it was mostly color combinations, I like to have an idea what its gonna look like prior to the actual object arrangement, the only thing that wouldn’t agree to that was the actual peach, it would just not sit still, you’d think it should just stay flat on the table but no…, its like a sitter that likes to move a lot, I fixated it between the foldings and it seemed to work! 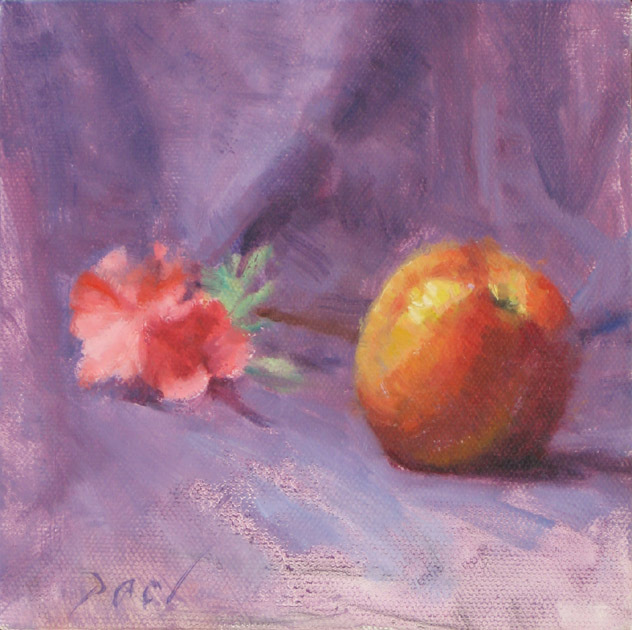 One Response to ""Peach in purple" floral still life"
i am really surprised at your works. People like you are my inspiration to try out more.